I'm thinking about it. 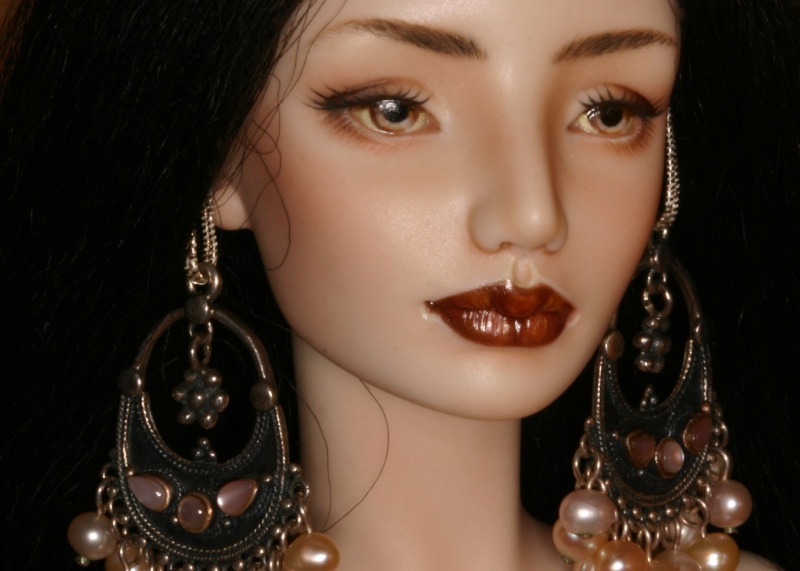 I really love the exotic look of her porcelain dolls but just don't have the funds for one of those beauties. Yes, I have a custom resin girl. She's very close to porcelain in feel-- jointed exactly like Anna's porcelain dolls and the resin quality is excellent.. Anna's face ups are gorgeous too. You won't be disappointed! You should contact Anna directly through the email on her webpage, no need to go through Etsy. I hope she still has one left for you! Carmenke, Anna has one more resin that she put up on Flickr. She's gorgeous and has the most amazing green eyes, + wig + outfit + the shoes are awesome!!! You should take a look.